Drive down any major thoroughfare and you’ll see houses and apartments rising from the dirt, part of a wave of new residential construction rolling across the Lake Norman region. That’s good news for people who want to live here, or trade up to a new home. But all the new population growth brings concerns, especially about how it will affect town services, schools and traffic. For The Charlotte Observer, I’ve taken a look at the residential real estate market – and its implications for growth. See the article link below, as well as an outtake that didn’t make the paper – a list of major projects under construction across the area. 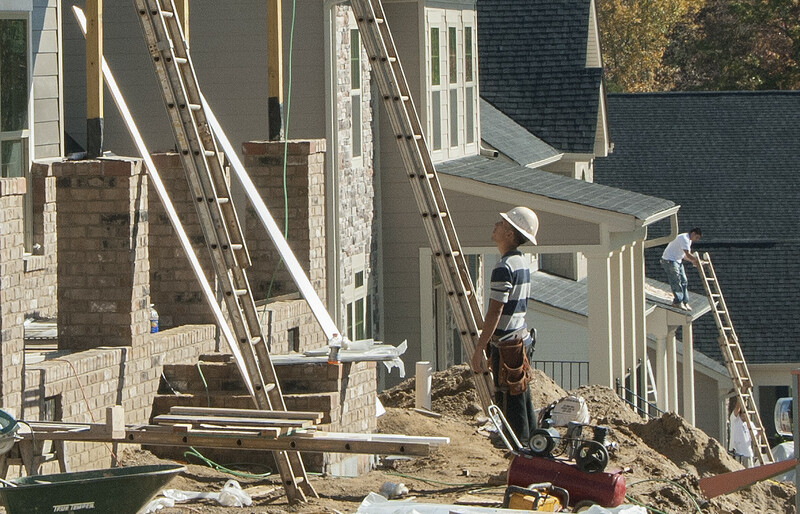 More new single-family homes are under construction and planned at Vermillion, a neighborhood off Huntersville-Concord Road that has seen the most new construction in recent years. Eventually, the development will have more than 1,400 units. Other neighborhoods in growth mode include Beckett, on Gilead Road; Bellington and Maribella, both on Huntersville-Concord Road; and Olmstead, off Eastfield Road. Multifamily projects also are bringing hundreds of new living units. AS1 Apartments, under construction off Reese Boulevard near The Park business park, will have about 335 units when finished. The Apartments at Holly Crest are now renting near the public library, off Holly Point Drive. Also under construction is the 296-unit LIV Bryton apartments, off Hambright Road on 22 acres in the Bryton Town Center development. Meanwhile, Epcon Communities is building about 50 age-restricted housing units at The Courtyards at Huntersville on NC 73, and plans another 96 units at similar development off McCoy Road called the Courtyards at Kinnamon Park. With little land left to develop, Cornelius has seen smaller numbers of new homes and apartments than its neighbors. 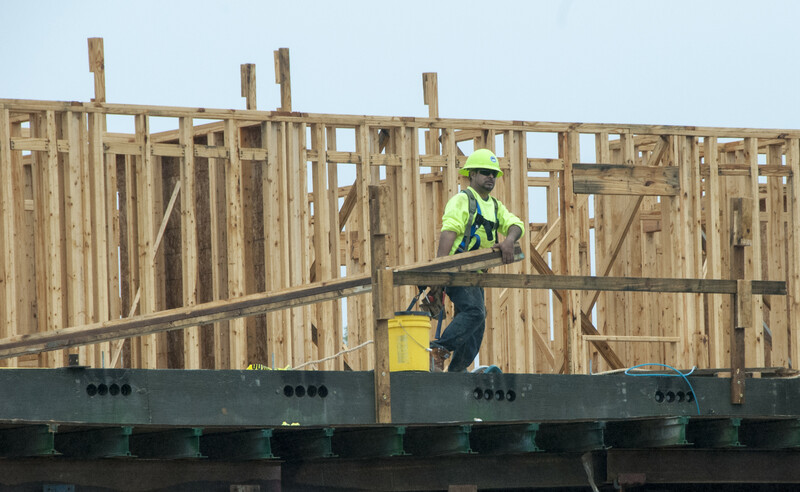 But town figures show new construction rising since 2011, echoing the regional trend. New homes and townhouses have been going up in Antiquity Cornelius, near downtown, along with the Renaissance at Antiquity apartments, an 86-unit complex of income restricted apartments aimed at seniors. Several hundred other apartments also are planned in Antiquity. Epcon Communities also is targeting seniors with single-family homes at two sites off West Catawba Avenue in Cornelius. 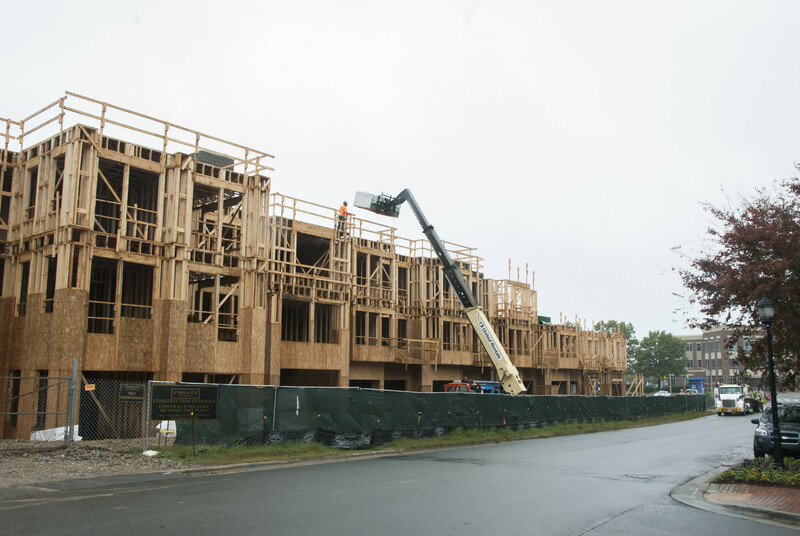 Meanwhile, major growth is coming in the Bailey Road area, where Bailey’s Glen is adding homes and about 169 single-family homes are planned in two other approved projects, Avery Park and Beverly. More than 200 hundred new apartments were completed this year at Kenton Place, off West Catawba Avenue. Cornelius officials have been looking for ways to preserve the town’s rural area and promote more commercial development. In Mooresville, new homes are going up around and away from Lake Norman. Agents are listing more than 1,100 homes currently for sale, with hundreds more in the works, as well as hundreds of apartments. Major single-family neighborhoods with new construction include Byers Creek, off NC 150 near Perth Road; Ashlyn Creek, Curtis Pond, the Cove at Morrison Plantation, and The Farms. Hundreds of houses are now for sale in and beyond town, including nearby subdivisions across the Iredell and Cabarrus county lines. For real estate market purposes, those areas are listed as Davidson. Big homebuilder Standard Pacific has started site work on Davidson East, with 239 homes off NC 73. Davidson Hall (34 units) is under construction off Pine Road. River Run Phase 5 off Davidson-Concord Road will add a total of 66 homes when it’s done. On Jetton Street off I-77 Exit 30, The Linden apartments (154 units) are under construction, as are eight townhomes across the street near the Harris Teeter. Also in the Exit 30 area, Hawthorn Retirement Group is building Williams Place, with 115 independent living apartments on Lake Cornelius. “We’ve got a lot of stuff coming on line in the next 18 months,” Davidson planner Jason Burdette said. See more about the implications of all this new growth in The Observer article.